The following are TMNT Entity's odds and ends; misc. articles covering a number of TMNT-related topics. Some are humor pieces, some are editorials, some are research essays, some are interviews and some are just whatever. 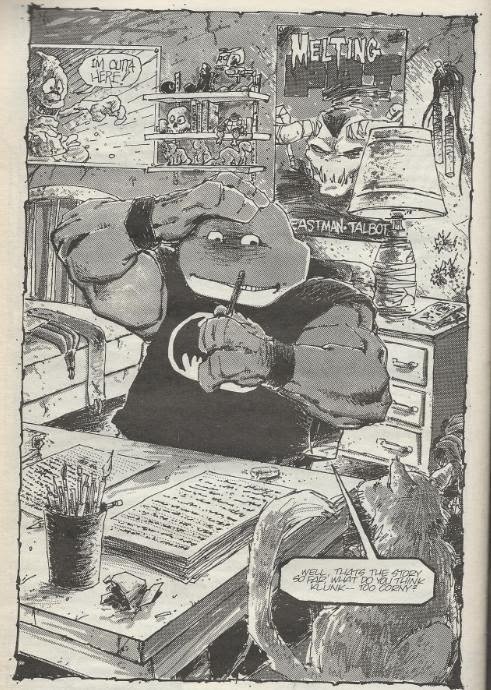 Retrospective: The Mirage TMNT Volume 1 "Guest Era"
What Happened to the "Teenage" in "Teenage Mutant Ninja Turtles"? The Mutanimals are Making a Comeback and What Took so Long? Whatever Happened to "The Forever War"? How many times has the TMNT #1 rooftop cover pose been recreated? The Mirage Comics and... The End of the World! Was April O'Neil Originally Black in the Mirage Comic?